Lisa Luciano’s work as a director/producer in television received national recognition for excellence in educational programming. She is the author of a nonfiction book about using technology in the classroom and has had a documentary script produced. Her nonfiction pieces have won numerous awards, and she has worked as a sports reporter for the New York Times, covering figure skating. 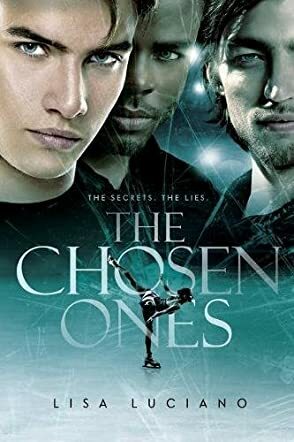 The Chosen Ones is her first novel and has been recognized as a Notable Book in the Shelf Unbound 2018 Indie Best Award Competition. It also received a 5 star review from Reader's Favorite. She has taught English Language Arts, Technology, and Digital Literacy to students in grades 6-12 for more than 30 years and is currently working as a Library Media Specialist. In her spare time she is a 4th degree black belt Tae Kwon Do master/instructor and also has a black belt in Hapkido. A man who has lost everything — his job, his wife and daughter — gets the one chance to redeem himself, to save a person’s life. In The Chosen Ones by Lisa Luciano, Brody gets fired from his job as a reporter and his wife leaves him. The sports editor of the newspaper gets an anonymous voicemail which claims that one of the top male skaters will be dead before the end of the Winter Olympics. The editor asks Brody to go undercover as a trainer to uncover the source of the plot. Brody knows a life hangs in the balance and time is ticking by, every minute, every day, drawing towards the end, but does he have what it takes to save a life or will he live with the guilt of not having tried hard enough? I am not a fan of skating, but the reader gets the impression that the author did good research on the topic, allowing readers to have a detailed glimpse of what happens in big sporting competitions — the greed, the corruption, and the racism. The characters are emotionally rich and convincing. I loved the psychological depth of the protagonist, a broken man struggling to find important answers to save a life. The writing is atmospheric and the setting is vividly captured in engaging prose. Lisa Luciano uses suspense to get readers turning the pages, wondering who can possibly be the victim and who is the killer. It’s a story with a powerful premise, a strong conflict, and a gripping plot. The Chosen Ones is a good read.